VPSnet.It Review 2019: Is VPSnet.It a Good Hosting? If you’re looking for VPS, VDS, or dedicated server hosting configured specifically for you, then VPSnet offers fantastic products built on world-class server hardware. Based in Vilnius, Lithuania, hosting provider VPSnet has specialized in VPS products since their very beginning in 2007. They aim to enable customers to come up with a server product that is specifically tailored to their needs, and to make it easy to manage. They are fully bilingual, and they provide their services (and website) in Lithuanian and English. With VPSnet, the whole point of VPS or dedicated server hosting is that you can configure a server that exactly meets your needs. For example, for dedicated servers, you can customize your RAM (up to 96 GB ECC DDR3), storage (up to 480 GB SSD and 584 GB SAS HDD), and up to 1Gbps unmetered traffic. All products provide full root access, unlimited traffic, and a choice of Linux operating systems. They run on cloud technology and provide resource management, guaranteed resources, and a backup system. Dedicated servers also come with remote KVM and power management. They also make use of fantastic server technology such as Dell, SuperMicro, APC, Intel, and Cisco hardware. Although VPSnet offers their own in-house control panel rather than one of the popular off-the-shelf ones such as cPanel or Plesk, it is quite modern, polished, and easy-to-use for beginners. VPSnet offers quite a good range of server products, with nine VPS, six VDS, and eight dedicated servers. Since all the features are configurable, you can pretty much tweak any VPS or dedicated server to suit your needs and budget. 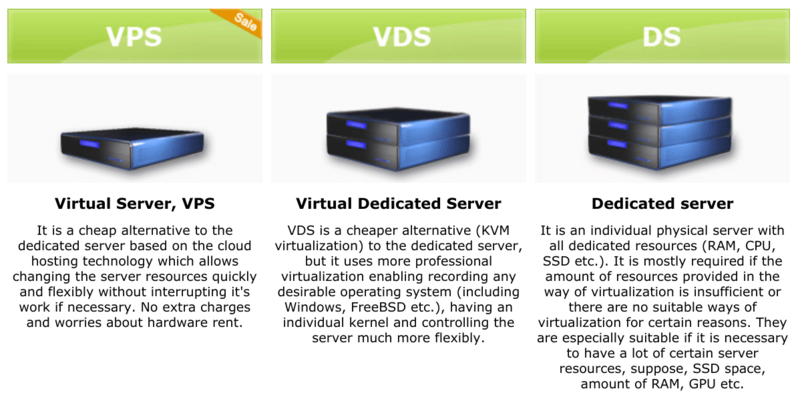 VDS servers are configurable to a much lesser extent. VPSnet provides a lot of choices when it comes to billing options. You can rent VPS or VDS servers per one day, three days, seven days, one month, two months, three months, six months, one year, two years, or three years. You can rent dedicated servers for a month or longer. If you opt for monthly or longer VPS or VDS billing, you’ll receive the first period at a 50% discount, while there are staggered discounts for longer dedicated server terms. Overall, the prices are very good for the hardware you get. However, you should keep in mind that these are bare servers that you’ll need to set up yourself. They offer a 30-day money-back guarantee on all of their products with a suitable billing term, but pricing does not include a domain or SSL certificate, and backup restores need to be paid for. I have no complaints about VPSnet in terms of support channels that include live chat, email, telephone, and ticket support. However, strictly speaking, the support is not available 24/7, so you’ll get much longer response times outside of office hours. However, servers are monitored on a 24/7 basis. The experienced and skilled support staff seem to know what they’re doing, and the website provides a minimal set of tutorials as self-help resources. VPSnet provides exactly what most people look for in a VPS: a lightning fast server network infrastructure at surprisingly affordable prices. However, their lack of guarantees does mean you’ll need some risk tolerance. World-class server hardware from Dell, SuperMicro, etc. Wondering how VPSnet.It stacks up against other Web Hosting companies? Enter any other Web Hosting company and we will give you a side-by-side comparison.